I'm posting this blog to hold myself accountable not only to myself and my goals but also to my many SparkPeople friends/family/teammates who have been there for me with support, motivation, and encouragement. I found the last month to be challenging at times. I need to add in more exercise as this last month the only exercise I got was what I do at work. Loading and unloading boxes from bins to carts and back to bins. It involves a lot of lifting and walking from backroom of the store to the sales floor while pulling a cart that holds the merchandise to where the products need to be put on shelves to be purchased. I need to add in ST as I can feel it in my arms, shoulders, and neck after lifting boxes at the end of the day. Need to try and drink more plain water. Relying on Crystal Light or the generic brands of it to flavor the water. I have been bringing my lunches, snacks, and bottled water to work each day. Find planning what I am going to eat ahead of time helps me stay on track food-wise. The McD's that was in the store has shutdown and is going to be replaced by something else. 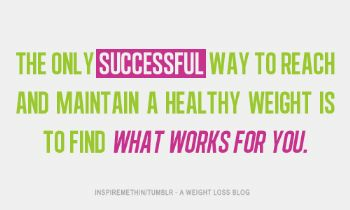 This has actually helped me as I was eating there for breakfast and lunch almost every day. Not to mention the amount of sweet tea I was drinking daily (was getting a large for each meal). Been watching my portion sizes and making better choices when we do eat out. On the whole, I think I'm doing pretty well. You are planned for success! It sounds like you're doing great and have a wonderful plan in place...... wish you the very best on your Spark journey. I'll bet you're saving money along with those McD's calories by not eating out 2x a day. That'll help when you need a new wardrobe from all the positive changes you're making. You have really made some great changes!! Good job! Dee!!! Keep up the good work!! Trying adding slices of orange or lemon to your water and flavour your own. Also you can refill the bottle with the flavours still there. You can achieve this goal. You can and we are right behind you. So proud of you for writing out your plan to keep yourself accountable. There is no doubt that you can do this----stay focused on your goals and you will be successful! This is great! I need to make a plan like this and work to stick to it. Thank you for putting this out there, gives others ideas and motivation to do the same! Are you planning to lose your weight by your birthday? It looks like you have a plan and it looks doable as you have done so good so far. I'm trying to lose weight and lower my BP and A1c before my next doctor's appointment.It's going much slower than I thought, but he should notice how much more encouraged I am about doing walking(exercise) and cleaning small out of routine places (attitude), and eating better(diet). It looks like your birthday is in March which is a very good month. My son and his wife both celebrate birthdays in March ! March means that most of the winter snow and cold is about over and the days always look brighter.